NEW! Bahco SHARP-X Carbide Sharpener - For Tool & Knife Blades. Bahco SHARP-X carbide sharpener - professional tungsten-carbide sharpener. 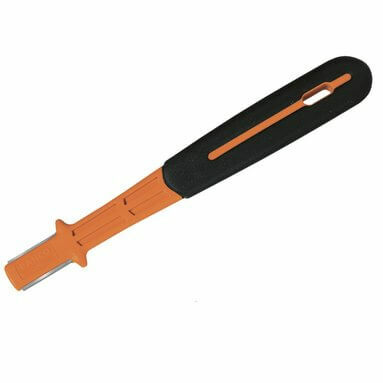 Ideal for quick and professional finishes on all types of blades. Additional safety from the side lugs which help to prevent finger slips onto the blade. Two carbide edges for easy and long-lasting use.